I think most people would agree that having a website for your business is a requirement nowadays. If you don’t have a professional looking website representing your company online, then you are missing out on an amazing opportunity to establish credibility, increase sales, and keep costs low. So how do you go about building a professional looking website on a modest entrepreneur’s budget? Well, there are quite a few different ways to go about it, and the right decision for you depends on your tolerance for DIY website development, complexity of the site, and of course your available cash. To keep it simple, I have organized your options into 3 simple categories. If you are looking for a simple, 5 page website design and custom design features aren’t important to you right now, then you are in luck. There are a lot of great options out there for you from ready made templates to simple WordPress themes. Websites such as www.1and1.com offer a quick, simple, low cost solution to getting a website up and running fast. This is a great option if you are simply looking to establish a web presence and don’t have the time or budget to devote to a more featured solution. I like to call this option the “online brochure”. If you need more flexibility, want customization options, and have a little more time to devote to the task, then I highly recommend launching a simple WordPress site. Wordpress is not just for blogging, and is currently one of the top preferred platforms for website development. The easy to use open source platform allows for even the most novice web developer (think ZERO experience!) to get a website setup quickly and at a very low cost. In fact, I developed the WordPress website you are on right now and I had literally zero experience in web design at the time I started it. Trust me, if I can figure it out so can you! Costs to launch a WordPress site include your URL (about $15 per year) and then monthly hosting fees of around $5 per month. You may also need to purchase images to use on the site (www.fotolia.com is a great deal). For your URL and hosting package, www.godaddy.com does a great job and is super reliable. I’ve been using them for years without issue (and their customer service is great as well!). If you have a little more money to spend on developing your site, and you need to add some custom elements, WordPress is still a fantastic option for you. In fact, I still recommend a WordPress site at this budget for a number of different reasons, but mostly because of how easy it is to use and the huge amount of plugins that are available (paid and free). Also, with a little extra budget, you can afford to purchase a premium WordPress theme, which will give your site a professional, polished appearance for around $100. I use themes from www.woothemes.com and have had great experiences so far. The themes are great and are reasonably priced. If you want to break into a fully custom design at this budget you could, but I’m not sure I would recommend it unless you had a friend or someone else you trust willing to give you a really great deal on a custom site. You could also try to hire someone from www.elance.com but it’s a gamble on the quality you will receive at this price point (although their are a lot of good developers on the site). Communication is everything, and make sure you have your site fully planned out if going this direction. It would also be a good idea to get a WordPress site launched, theme loaded, and framework in place and leave only the custom requirements to the professional. Working within WordPress is pretty easy once you get the hang of it. OK, so you have a big budget and you probably also want quite a few custom features on your new site. You also want a highly professional site with the best in design and customer experience in mind. If this sounds like you then pricing starts around $5000 and goes up quickly from there. It’s not unheard of to spend tens of thousands of dollars on a highly customized site with all the bells and whistles. With that said though, it’s often money well spent if executed properly. 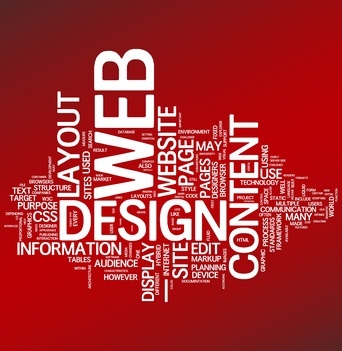 Finding a good web designer can be difficult, so look for references and be sure to view past work. Spend lots of time upfront when planning the site to save on change orders down the road, and remember that you are likely still responsible for providing copy and perhaps images (or other items) for the site. It’s important to have as much as possible clearly defined at the beginning of the project as well to help avoid scope creep and budget overruns. Having a professional website representing your company online is extremely important to the success of your business. You can have a simple, plug and play website up and running in as little as 24 hours, for under $100. If you have more complex requirements or want a custom design, the price goes up accordingly. I sincerely hope that you find this information helpful. If you have any questions on it or need further advice, please feel free to Contact Us. Best of luck in getting your website and your business off the ground! Enter your e-mail address below to sign up for our newsletter and you’ll receive money saving tips for small business owners and entrepreneurs!